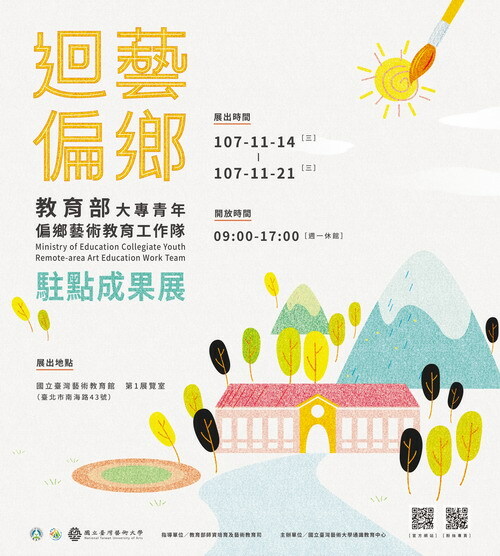 The 2018 ”Art Education in Remote Areas – The Wrap-Up Presentation” will bring the audience the results of teaching art to children in remote areas throughout these years and the video clips about the interaction between our team members and students, sharing the art talents in students from remote areas and the enthusiasm of our college team members with the audience. The art education team hopes to invest more resources and efforts in teaching art and aesthetics to kids in remote area. Everyone is invited to participate and support.